BBC documentary series Panorama highlights racism in football in Ukraine and Poland, the joint hosts of the Euro 2012 tournament. The programme "Euro 2012: Stadiums of Hate" will be broadcast on BBC One, Monday 28th May at 8:30pm. The film makers spent a month in Poland and Ukraine filming domestic matches and witnessed Nazi salutes from the terraces, black players being taunted with monkey chants, rampant anti-Semitism and a vicious assault on a group of Asian students. 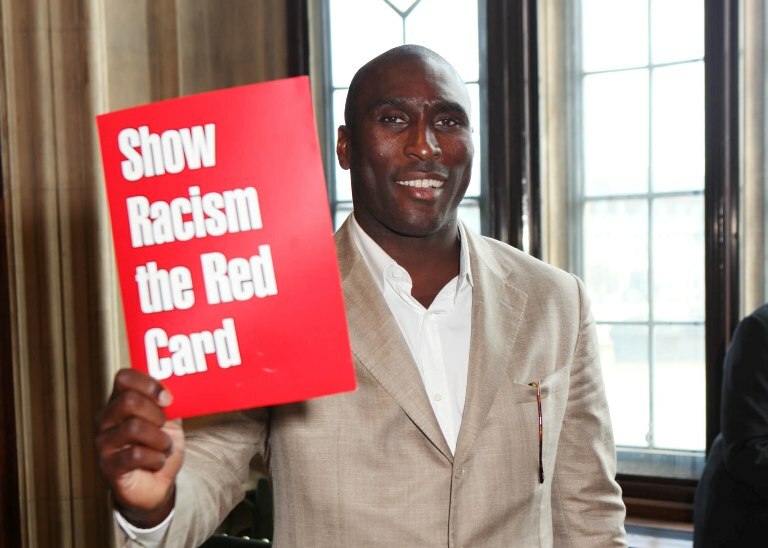 Having viewed the accumulated footage, SRtRC Honorary Patron and Hall of Fame member Sol Campbell said that he believes UEFA should not have selected Poland & Ukraine to host the prestigious tournament. “I think that they were wrong, because what they should say is that ‘if you want this tournament, you sort your problems out. Until we see a massive improvement…you do not deserve these prestigious tournaments in your country." UEFA said it was working with both host countries to ensure the safety of travelling teams and fans. Families of some of England’s players have already decided not to travel to the tournament, both Theo Walcott and Alex Oxlade-Chamberlain’s families are reported to be staying away because of the danger of racist attacks. The Football Supporters' Federation said: “The FSF would advise fans travelling to Ukraine for Euro 2012 to take heed of Foreign Office advice. There have been instances of harassment of individuals of various ethnic, racial, religious backgrounds, some involving unprovoked violence. On 14 April at the Metalist stadium in Kharkiv in Ukraine - one of the host cities for Euro 2012 - massed ranks of as many as 2,000 fans in the terraces for a match between two of Ukraine's biggest teams gave the Nazi salute to their team. Some fans at the match told the BBC that they were saying "Sieg Heil" because Hitler hated "Jews and blacks" and that is how they support their team. But local police chief Colonel Volodymyr Kovrygin denied that it was a Nazi-inspired salute, saying the fans were "pointing in the direction of opponents as it were, the fans, so it looked like they were pointing with the right hand to the fans, kind of attracting attention to themselves." At a match two weeks later, scuffles broke out between rival fans and police arrived to calm things down. But they escalated again as Metalist fans began to attack a small group of their own supporters. They were Indian students studying in Ukraine. They had sat in the family area of the stadium thinking it would be safe. In the stadium's medical room afterwards, one of the injured students said: "We were supporting the home team. It's horrifying." British government advice for Euro 2012 fans of Afro-Caribbean or Asian descent is to take extra care in Ukraine because of racially motivated attacks. Panorama also filmed matches in fellow host-nation Poland, recording a chorus of anti-Semitic chanting and witnessing black football players enduring monkey chants from the terraces.